Based on the Combustion model, the alder body, maple neck and fretboard NG2 takes things in an exciting new direction with the addition of the custom Darkglass Tone Capsule pre-amp, sweetspot pickup placement, carbon fiber print pickguard and racing/tuner inspired finishes. 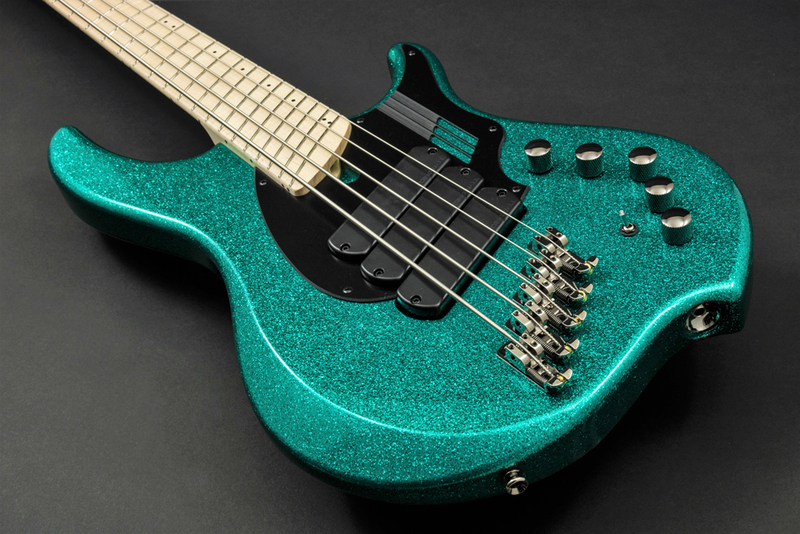 PLEASE NOTE: While the NG models are manufactured in China to our exacting specs, when they arrive here in Canada each bass goes through a rigorous two hour quality check including all the electronics, fret leveling and final setup. These basses don't leave our Canadian shop till they are up to our high standards. *Available in right and left hand 4, 5 and 6 string models. The average weight of the NG model is a low 8.75 lbs. The satin and gloss NG finishes are a polyester base topped with polyurethane color and top coats. This industry standard finish is long-wearing and beautiful for years of service life. We take neck construction very seriously due to our extensive experience in guitar repairs coupled with our geographic location and corresponding extreme climate. We’ve experimented with many different lamination and have found a 5-piece maple construction to be among the best. In my years in the guitar repair business I constantly had to deal with humidity related problems made worse by the huge temperature and humidity swings of our local climate. Many of these problems could have been minimized through simple design changes and materials choices. Headstock design – Flat, string retaining bar. We combined the minimalist shape of the Afterburner headstock with the lightest import tuners we could find. The results are excellent balance and solid performance. Maple has a nice snappy top end that really enhances the attack of the note. We now finish our maple fingerboards with satin polyurethane. To maintain stability, we also finish the neck shaft with the same finish. 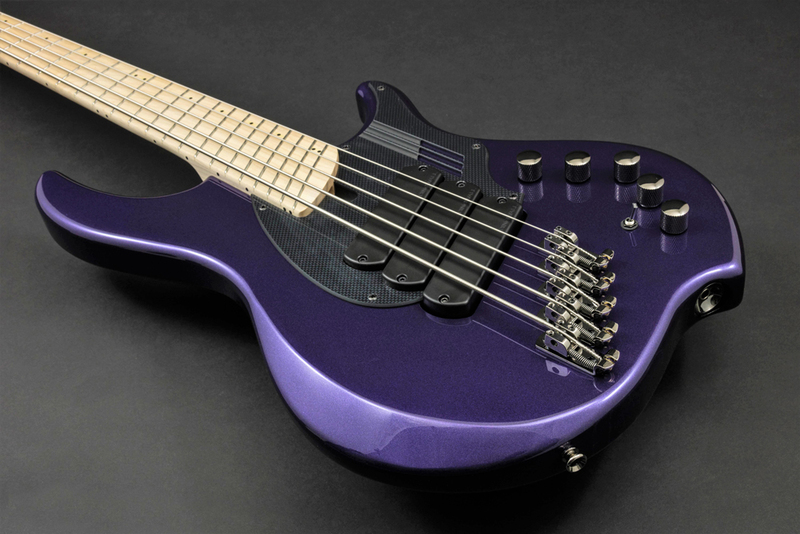 The NG bass features a single radius (240 mm) fingerboard. This makes for a very comfortable playing experience. 3 mm plastic face dots, 2 mm plastic side dots. 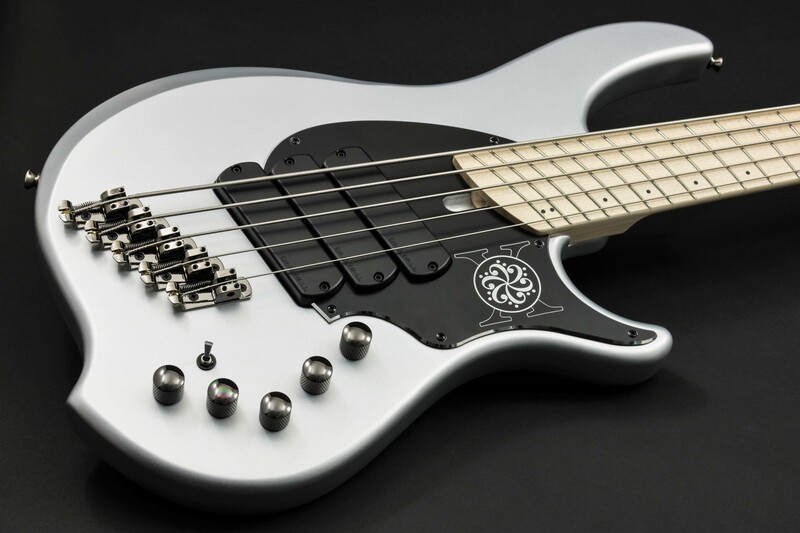 The FD-3N pickups are made to our specifications. The FD-3N pickups are made to our specifications. They feature Neodymium magnets which offer high output and a smooth but aggressive tone. The NG2 features a Master Volume, 4 position Rotary pickup selector, 3-band Darkglass pre-amp with an Active/Passive toggle switch. The 4 pickup positions are: 1. Bridge soloed, 2. Bridge/Neck in parallel, 3. Bridge/Neck in series, 4. Neck soloed. The NG now features smoked chrome knurled dome style knobs with a set-screw. 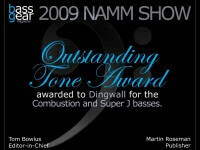 The jack is one of the most critical electronic components of a bass. It’s the most likely to suffer abuse so needs to be rugged in order to be reliable. We wanted the Combustion to be as reliable as it is great sounding and looking so we install the amazing socket style jack plate with a Switchcraft brand jack. This is the most reliable system you will find in this price range. We tested a lot of tuners when designing the NG. We were able to find an open-back tuner that met our requirements of light-weight and smooth feel. These tuners will provide years of trouble free performance. We also chose them to have the exact same hole specifications as both Gotoh and Hipshot tuners so replacement or upgrades down the road are a simple process. We started with an available bridge/saddle system that met our requirements for lock-down solid performance and great tone. Then we improved on it by designing a custom riser system to provide increased range of action adjustability.